JERERA-Zaka residents have implored the Government to increase the budgetary allocation to the Ministry of Health and Child Care in order to improve service delivery which has deteriorated over the years. The residents said this during the ongoing countrywide budget consultation meetings by the Portfolio Committee on Health and Child Care at Jerera Growth Point Community Hall on October 22. "As residents and rate payers, we want the Government to give priority to the health ministry and give it the biggest budgetary allocation so that they can focus on the recurrent drug shortages and nursing staff issues," said Wellington Chakona who was at the public hearing meeting. The residents also said the Government should open more medical training institutions and health centres in order to reduce the walking distance to the nearest health facility especially in the rural areas where some villagers travel for more than 20km to the nearest clinic. They also complained about the failure by the Government to provide funding to cover up for free treatment services after it scrapped user fees for children under the age of five years, expectant mothers and the elderly. Zaka district administrator who is also the Civil Protection Unit (CPU) chairman, Ndeya Nyede said the Government should revamp the water and sewer reticulation system in towns, cities and Growth Points in order to maintain a healthy population and ward off chronic diseases like cholera and typhoid. "It is stipulated within the World Health Organization standards that people should not travel for more than 5 kilometers to get primary health care and it is also important for us to electrify those existing clinics and fully equip them with drugs for effective service delivery," said Nyede. "We have a challenge here in Zaka, we do not have enough ambulances and our Police officers do not have a vehicle to attend accident scenes. 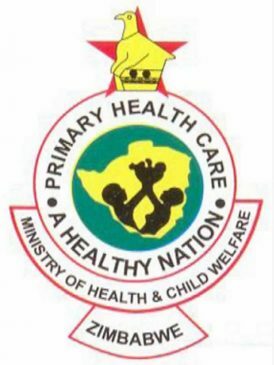 As such, we are calling for the Government in its budget to give a bigger proportion to the health ministry to achieve the health for all target," he said. Chivi North Constituency MP Mathias Tongofa who is the chairman of the Portfolio Committee pledged to take the residents’ concern to the Ministry of Finance for consideration.